Choose your site map here. 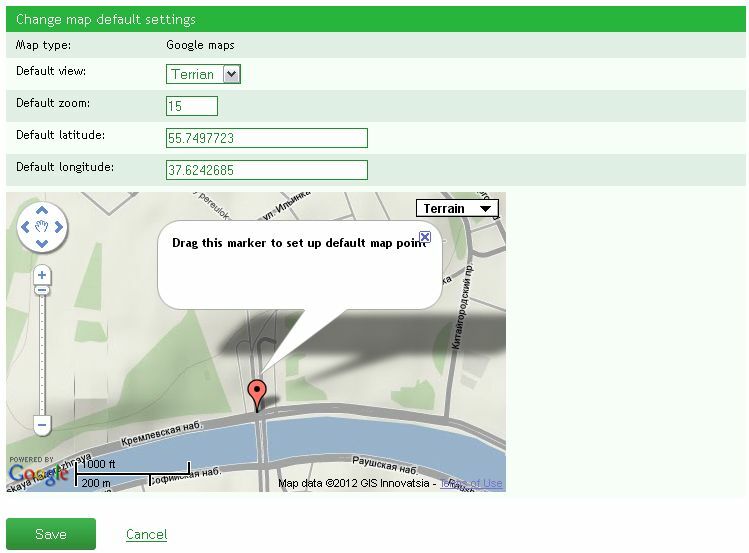 2 map types are available – Google Maps and Yandex Maps. Add a map key to enable it. Click “Edit” icon to add the map key and “View” icon to edit map default settings. Google Maps allows to set up default view, zoom, latitude and longitude. Same settings are available for Yandex Maps.